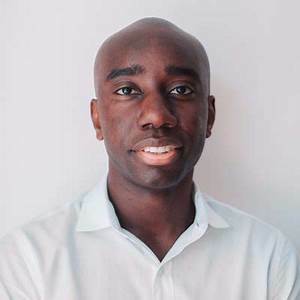 Brooklyn Congresswoman Yvette Clarke, 53, has agreed to a debate with her Democratic primary challenger Adem Bunkeddeko, 29, which will air on June 19 on Spectrum’s NY1 TV show, “Inside City Hall,” with Errol Louis. Both candidates are children of immigrants. Clarke’s parents are Jamaican. Bunkeddeko’s parents are Ugandan. June 26 is federal primary day in New York. There are no glass ceilings for Mellody Hobson. Earlier this year, Hobson was named to the Mellon Chase Board of Directors. Last week, Starbucks named Hobson Board Vice Chair shortly after Board Chairman Howard Schultz announced his retirement last week. Hobson has been a Starbucks trustee for about 10 years. Schultz, it is rumored to be, considering a 2020 U.S. Presidential run. JUNETEENTH, also known as Emancipation Day, is celebrated on June 19 in many cities throughout the United States. In June of 1865, Union soldiers landed in Texas with the news that the Civil War ended and that all slaves are free. In NYC, the National Parks Service commemorates Juneteenth with lectures and performances and an evening at 15 New York museums and historic sites in Lower Manhattan from 4 pm to 8 pm. For full itinerary, call 212.637.2019 or visit www.nps.gov/afbg. 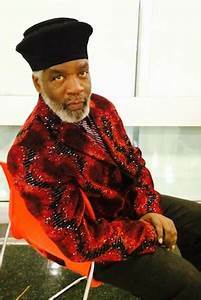 Congrats to Brooklyn theater impresario Rome Neal and his Banana Puddin’ Jazz Variety Show, which has been presented at the Nuyorican Poets Café in the East Village in Manhattan on the occasion of its 15th Anniversary at that venue. One of the highlights of Neal’s 15th Anniversary season is a reading by author/poet Ishmael Reed who performs excerpts from his new work “Life Among the Aryans,” which runs through June 19. The producers of the highly acclaimed Broadway play, ONCE ON THIS ISLAND, the 2018 Tony Awardee for Best Musical Revival, brought the work of some local nonperformance artists into its theater lobby. It is a vibrant, colorful, newly installed Caribbean-inspired mural created by art students at a Brooklyn H.S. who were supervised by Haitian-born fine artist Yolene Legrand. As you know, ONCE ON THIS ISLAND is a love story set in Haiti. 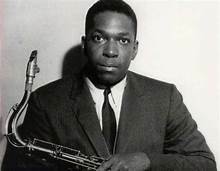 MUSIC: A lost 1963 recording by saxophonist John Coltrane was recently discovered by his first wife’s family who turned it over to Impulse! Records. The lost recording was made two years before his magnum opus A LOVE SUPREME. Lost recording, newly titled BOTH DIRECTIONS AT ONCE: “The Lost Album,” is a seven-song collection which will be released on June 29. Bob Law, Dean of Black talk radio, is back. He will host a weekly show, TALK BACK, which airs on WBAI-FM, on Tuesdays from 3-5 pm. The show debuts on June 12. Sistah Souljah is the first guest. Listeners are encouraged to call. Welcome back Bob! A Memorial to Dr. Lorraine Monroe will be held at the Frederick Douglass Academy on June 23, 4-7 pm, located at 2581 Adam Clayton Powell Blvd., Harlem, NY. A native New Yorker, Dr. Monroe died earlier this year. Founder/Principal of the Frederick Douglass Academy, a college prep school within the NYC public school system which boasted about 95% admission to a 4-year college. She graduated from teacher to principal, ultimately to NYC Board of Education Administrator. After earning her doctorate in education, she was a faculty member at Teachers College at Columbia University and at Bank Street College. She also founded the education-centric Lorraine Monroe Leadership Institute. Memorial is being organized in collaboration with the FDA alumni and friends. Contact Vanessa Silva, Assistant to Principal of FDA, at 212.491.4107, Ext.1551. Shirley Godley and Ashley Flanagan-Brown will co-host the 3rd Reunion of THE MODERN SCHOOL on Saturday, August 4 at 7 pm at Riccado’s By The Bridge, located at 21-01 24th Avenue, Astoria, Queens. Founded in 1934 by Mildred Johnson, The Modern School was a Harlem-based Black preschool-through-6th-grade institution which closed in the ‘90s. Many outer-borough Black students from the Bronx, Queens and Brooklyn attended The Modern School. For more on TMS 3rd Reunion info, e-mail tmsmemories@gmail.com. More info on the achievements of Caribbean-Americans during Caribbean-American Heritage Month. ARTS AND ENTERTAINMENT: Debra Lee, BET Chair Emerita; Kamilah Forbes, executive producer, Apollo Theater; ACTORS: Queen Latifah, Anna Maria Horsford, Kerry Washington, Jada Pinkett-Smith; MUSICIANS: Sonny Rollins, Rihanna, Wyclef Jean, 50 CENT; WRITERS/JOURNALISTS: Lynn Nottage, Dame Pearl Duncan, Constance White, Paule Marshall, Vynette Pryce, Joy Elliott, Malcolm Gladwell and Yusuf Khan; PUBLISHERS: Drs. Faye and Karl Rodney, NY Carib News; Jean Wells, Positive Community Magazine; and David Greaves, Our Time Press; EDUCATION: Professor Carol Boyce Davies, Cornell; Fern Khan, Dean Emerita, Bank Street; Professor Leyland Hazlewood; Javaid Khan; Professor Nafees Khan, Ph.D.; Professor Yinka Stanford; Dr. Keith Taylor; Juanita Clark Merritt, Ph.D.; and Wanda Ballard-Wingfield; NONPROFIT EXECUTIVES: Elizabeth Alexander, Mellon Foundation; Roy Paul, Cents Ability; Voza Rivers, Harlem Arts Alliance; Lloyd Williams, Greater Harlem Chamber of Commerce; Patrick Gaspard, Open Society Foundations; and Stanley McIntosh. The Harlem Swing Dance Society and the Harlem Renaissance Orchestra co-hosts TONIGHT WE DANCE: A Night of Jazz and Swing on June 16, 5-8 pm, at the Marcus Garvey Park at Richard Rodgers Amphitheater, off 122nd Street in Mt. Morris Park West in Harlem. Sponsored by City Council member Bill Perkins, event is free and open to the public. Brooklyn Borough President Eric Adams, NYS Senator Jesse Hamilton and Councilwoman Laurie Cumbo presents the 3rd Annual CENTRAL BROOKLYN ARTS AND CULTURE WALK 2018 on June 24th from 12-5 pm, along Eastern Parkway between Flatbush and Washington Avenues. Stages will be set up for dance and music performances, rides for children and a variety of arts and crafts activities are planned. A Harlem-based management consultant, Victoria can be reached at Victoria.horsford@gmail.com.